The crankshaft is one of the vital parts of the automotive engine and comprises of the journals, counterweights and other components. 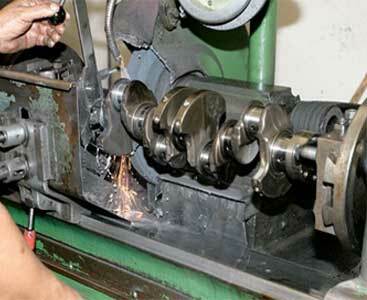 Crankshaft grinding is a method of refurbishing the crankshaft to make its surface smooth, which helps in increasing the torque of the vehicle. Our technicians perform crankshaft grinding for the European, Japanese, American and various other types of cars.